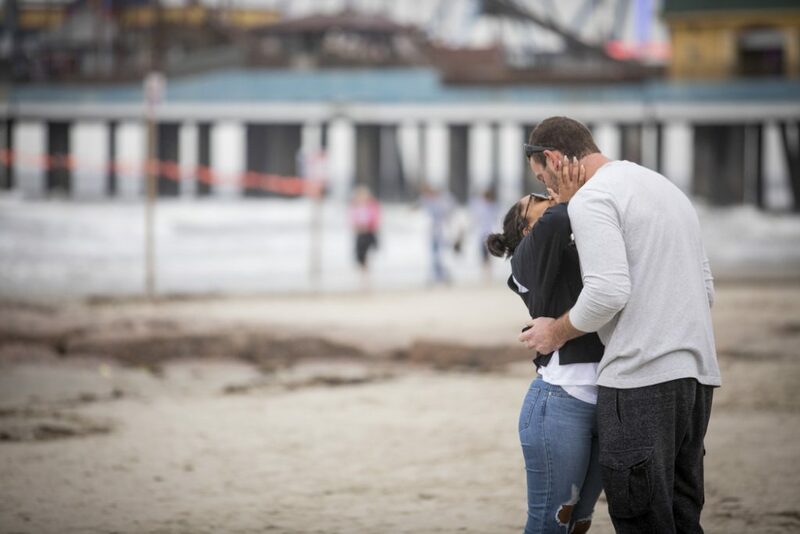 Kyle took a road trip from Houston to Galveston with his girlfriend for a surprise that she would never forget. 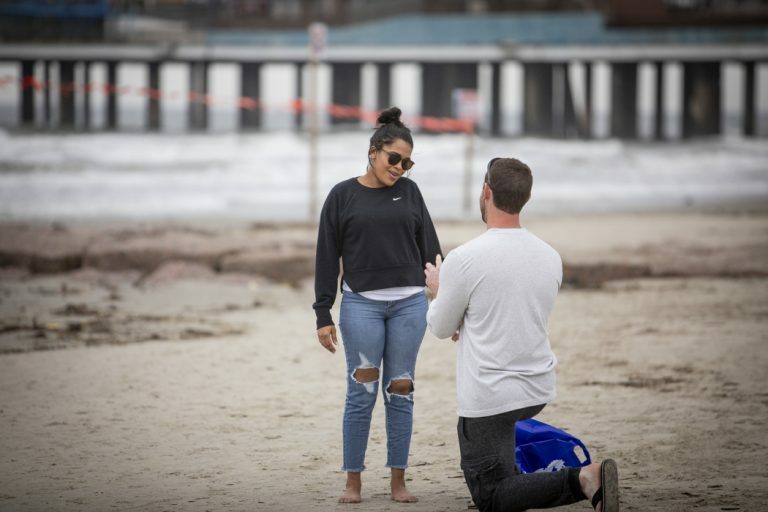 Definitely one of our favorite Galveston engagement proposal photography sessions – we coordinated for Kyle to have the picture-perfect moment at the Galveston Island Historic Pleasure Pier on the beach. 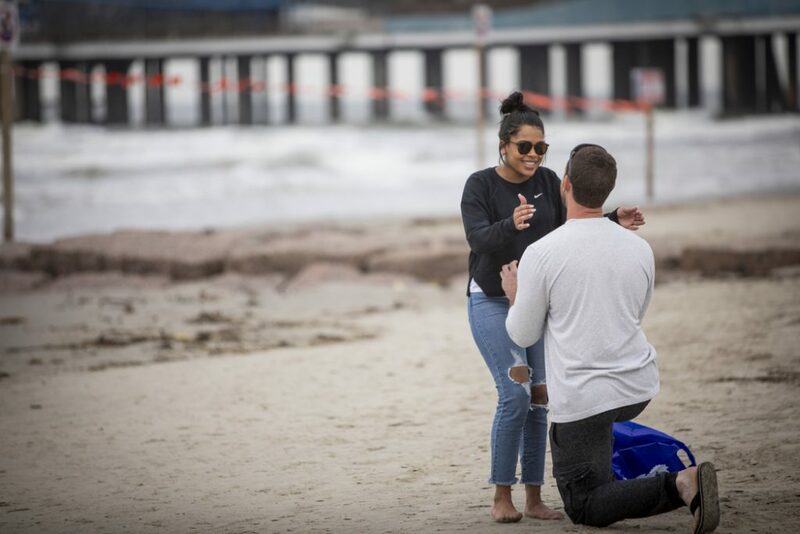 His partner thought that they were taking a romantic walk, but, upon arriving to the spot nearby the rocks with the amusement park in the backdrop, Kyle took a knee. Contact us for a free consultation with our proposal experts, and we will offer you a $60 discount! Limited time only. Submit your request and we will return your call! 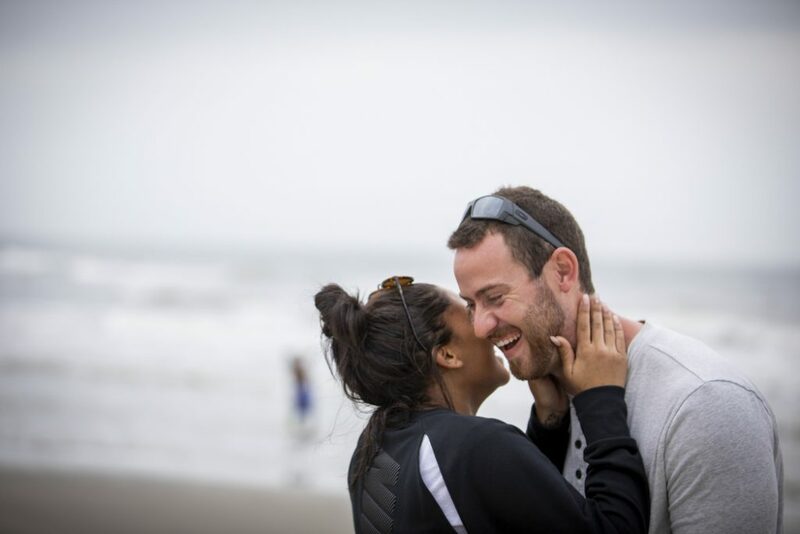 When the moment was just right, Kyle put a diamond ring on his partner’s finger! 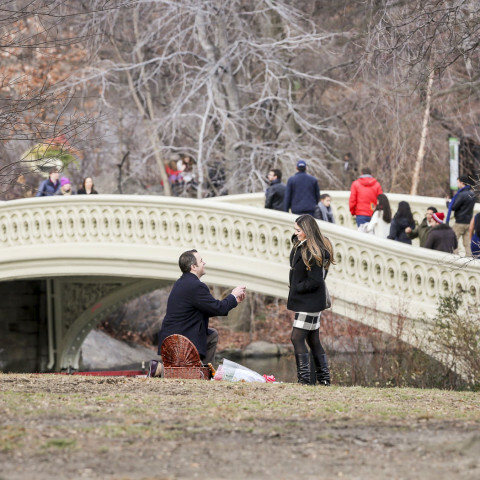 Of course, she said “YES!” Our photographer was hidden pretending to be a tourist. 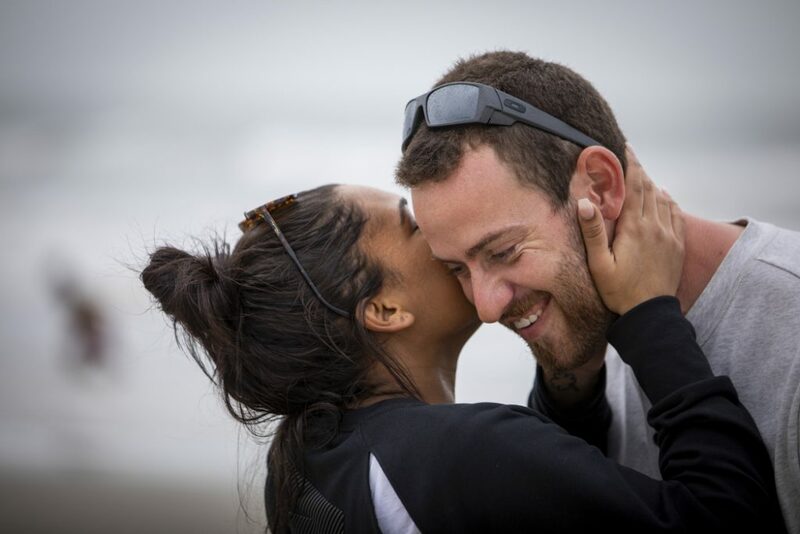 He did not reveal his true identity of their photographer until after all the excitement, when he took them around the beach for an impromptu engagement portrait session! 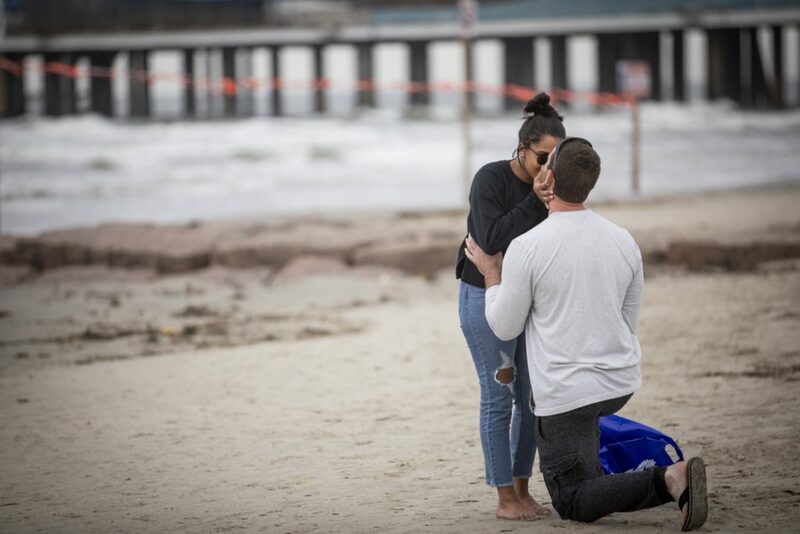 Contact us today to plan your big moment in Galveston or anywhere in the nation. Start the inspiration by following us on Facebook and Instagram to indulge in daily proposals and priceless reactions. Found the one and bought the ring? Now, capture the moment! Give us a call now at 1 (888) 287-5120 for a free consultation. Don't let your picture-perfect moment go uncaptured!